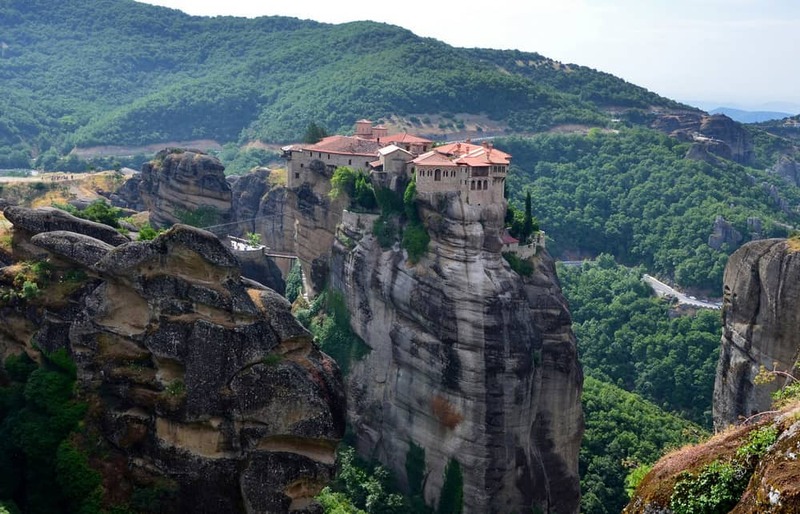 One of the largest and most important complex of Greek Orthodox monasteries in the country, second in importance after Mount Athos, the Meteora complex – Meteora means ‘in the heavens above’ – stands out with its serene beauty. The six monasteries of the complex are built on natural sandstone rock pillars right next to the town of Kalambaka, a unique region included on the UNESCO World Heritage List and one to attract a lot of tourists and pilgrims every year. Each of the monasteries have less than 10 inhabitants, four of them with men and only two for women. Vestiges of the Middle Ages, the high placed settlements offer a breathtaking view of the surrounding area, while at the same time having the power to bring new insights into the monastic life. The history of Meteora goes a lot further back in time, with traces of habitation since 50,000 years ago found in the caves around the complex. In one such cavern, the Theopetra Cave, there is a structure built 23,000 years ago.